Universities are complex estates. Their portfolios are built from a range of buildings and campuses. Technology is advancing quickly, and university estate teams can tap into the world of data to become more efficient. We are now seeing the rise of the digital twin; a virtual model of the university estate. This pairing of the virtual and physical estate allows for real-time analysis of data and monitoring of systems. It’s an incredibly powerful tool for facilities management and has massive real-world potential. It can improve space utilisation, enable proactive maintenance, and allow for fast in-depth reporting. Over the last 3 years we have helped the University of West of England understand the benefits of a digital estate through the Bristol Business School. 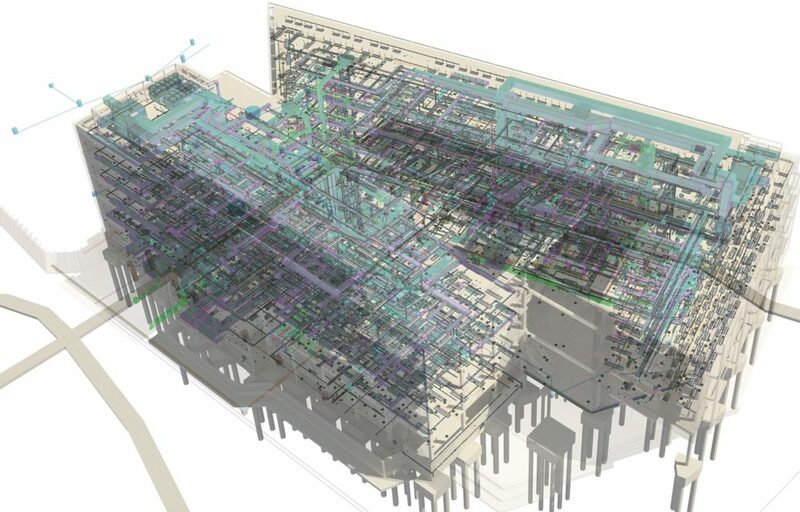 What started as a project based level 2 Building Information Modelling (BIM) journey has now blossomed into a digital campus-wide strategy. All new work follows protocols and standards we helped to develop. Their investment has recently accelerated into their existing assets. Over the next few years their entire campus will be mapped into their Computer Aided Facility Management (CAFM) software. Others are being more cautious. And rightly so. The upfront financial, resource, and time investment can be significant. But it doesn’t have to be. We’re in favour of the step by step plan – like learning to dance; start small and start right. Then add in complex moves when you’re ready. Initially, an amount of time is required to investigate far reaching outcomes and understand potential end results. However, the first step is creating a campus wide digital twin of space. This simple model is used to automate Higher Education Statistics Agency (HESA) reporting and to understand space utilisation. Discovering high and low demand helps define future masterplans and investments. In turn, this leads to creative reuse of underutilised space or buildings. Over time, this simple digital twin can evolve into a tool for asset management, building service performance and facilities management. The digital journey to creating a twin increases productivity, leads to behaviour change and resilience. This step by step approach will work if all the steps have been planned. That means getting naming conventions correct. Writing protocols for data handling. Ensuring secure storage. Upskilling teams. This is the journey we are starting with a number of universities. Like all journeys, it starts with a single satisfying step, but can blossom into an all-singing, all-dancing strategy.